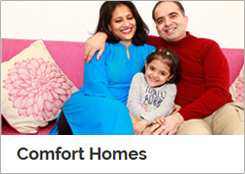 Our flagship project offering - Comfort Homes that blend well-designed inner spaces with comfortable surroundings. We have gated communities encompassing wide open spaces, green lawns, and a habitat that turns neighbours into friends. At Ashiana's Senior Living projects, every brick we lay breathes with respect and trust. Our residents’ key priorities – safety, comfort and care – guide the facilities we design and the environment we create, so that they can lead a hassle-free life. Outdoor sports amidst greenery and fresh breeze might sound like dream for some. But come summer or rain, the dream turns to loo and slush. 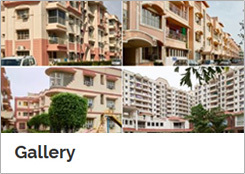 Ashiana Aangan (Bhiwadi (Delhi-NCR)) residents witnessed both these realities. Formerly, the property had outdoor badminton courts, where daytime sun and wind patterns restricted good play. So, this feedback was sought and an indoor court was opened. Free from weather constraints, the champs played with abandon. Good quality flooring and equipment, a controlled environment, and the hire of a badminton coach led to many more players, especially youngsters, joining in. The Ashiana maintenance team saw the enthusiasm and started organising Inter-Ashiana badminton tournaments, which in turn developed a competitive spirit in and built confidence of the young players. As the seriousness grew, the maintenance team created additional provisions: built a jogging pathway for the runners who would run to warm up before play, and extended gym hours to ensure the young sportspersons could use the facilities under the supervision of a fitness inspector. This sports infrastructure support and responsive management helped these young children turn their badminton-playing hobby into a passion. They developed essential sports skills to such a level that as of 2016, ten children from Ashiana Aangan are now playing badminton at district, state and national levels. Deepak Marwah’s ageing parents had expressed a wish to stay by themselves at Ashiana Housing’s Senior Living project at Bhiwadi (Delhi-NCR). Like any caring child, Deepak was concerned. Mr Marwah Sr was a heart patient – how would he, along with his other siblings, be around to take care of his ageing parents? Our team explained further that all our staff members have been given first aid training, and undergo regular emergency drills to keep our team prepared for any emergencies. Deepak felt reassured that his parents’ decision was the right one, and that they would be in safe hands. He immediately booked a 3BHK unit for his parents at Ashiana Nirmay, Bhiwadi. Gagan’s observation was quite right. We do provide in-house and professional maintenance systems and services for both old and new projects. Our on-ground staff comprises security, plumbing, gardening and electrical professionals, whose job is to ensure that property is safe, clean, green and eco-friendly. All utilitarian needs are met by arrangements with house help, newspaper and milk vendors. We also have well-maintained safety equipment at all our projects, staff trained in first aid, a year-long programme of arts, fitness, celebratory and learning activities. We also offer resale and rental services, which enable regular occupancy of all Ashiana properties, thereby creating vibrant communities. 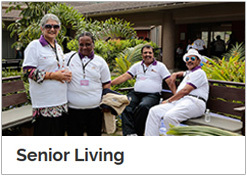 No other housing company in India offers these kind of services.